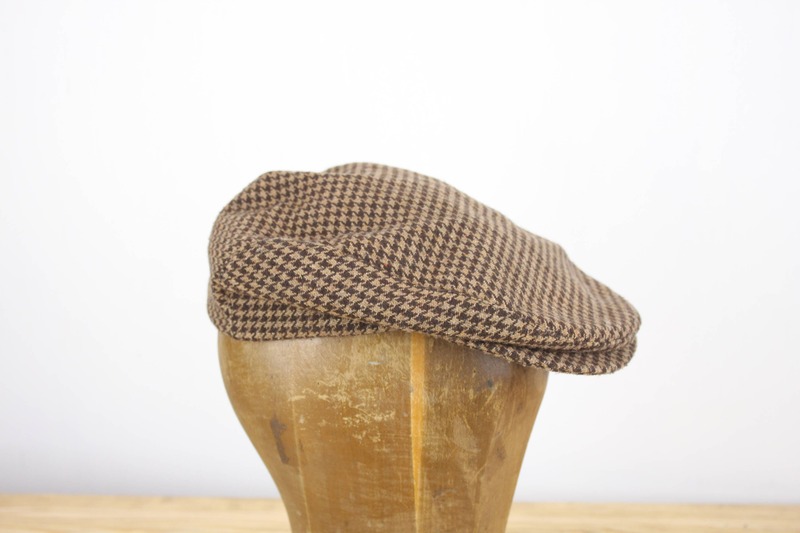 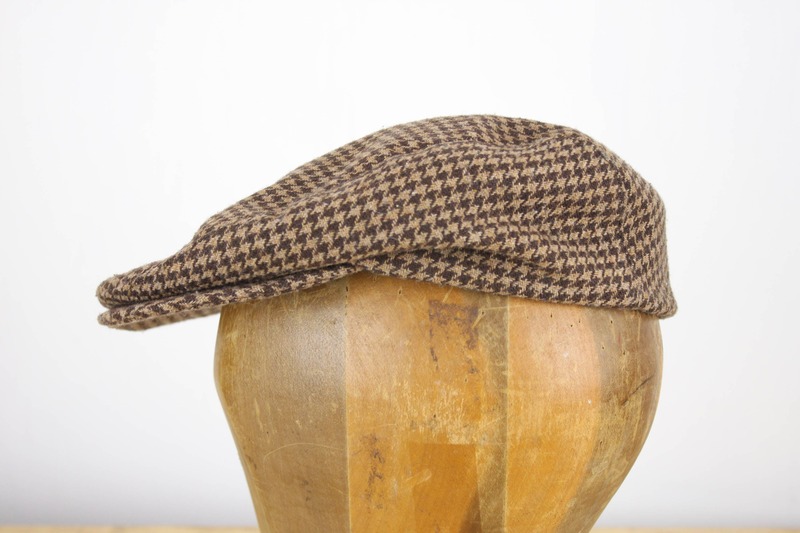 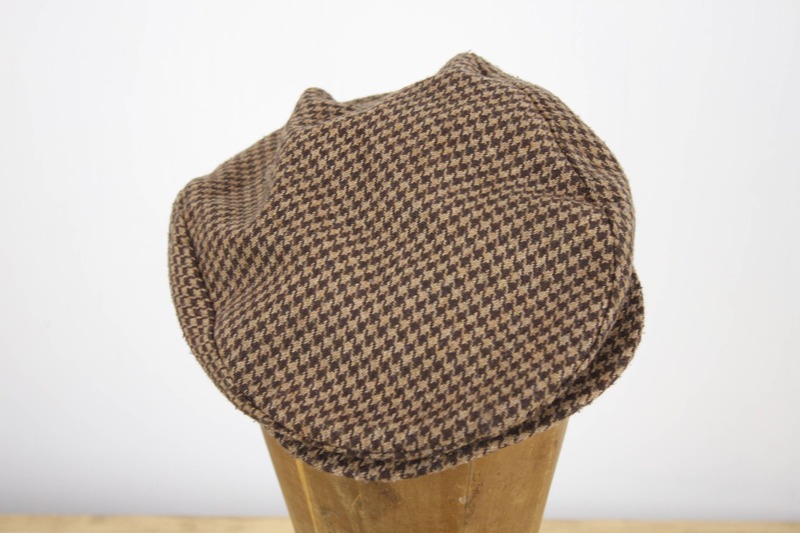 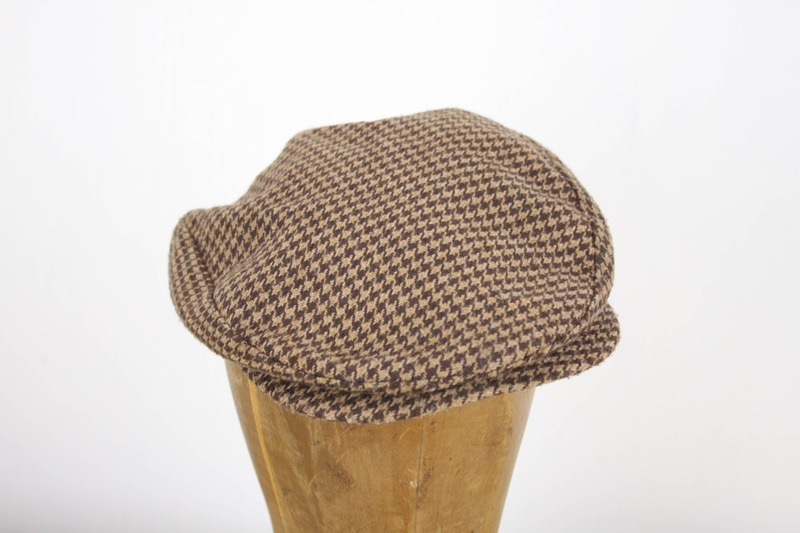 This class Windsor cap is a staple of every vintage wardrobe! 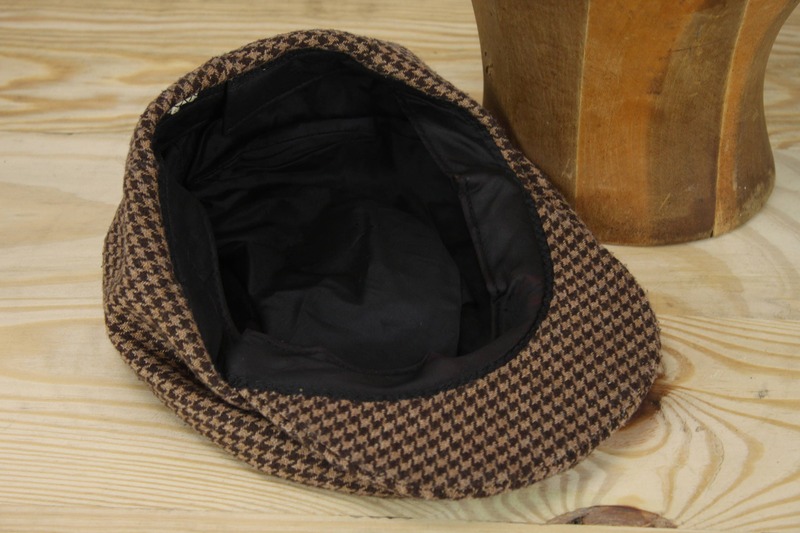 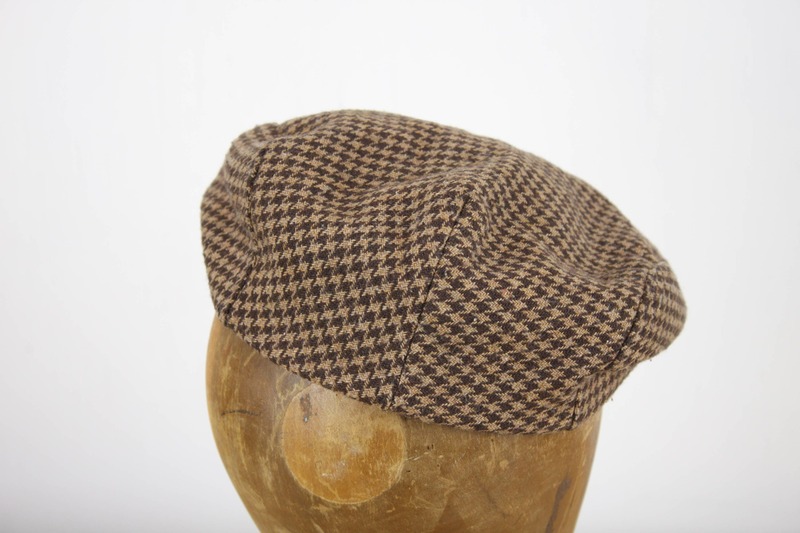 This example is presented in a brown and black houndstooth pattern and is fully lined in black rayon! 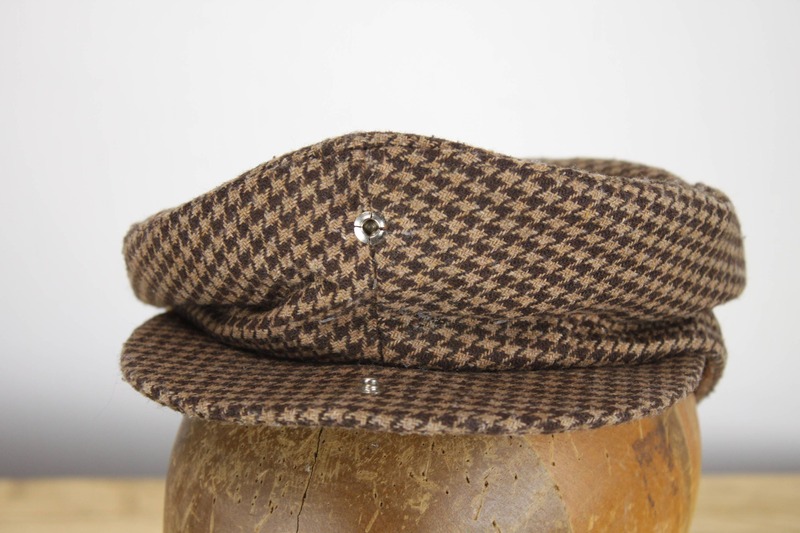 Look dapper and stay warm! 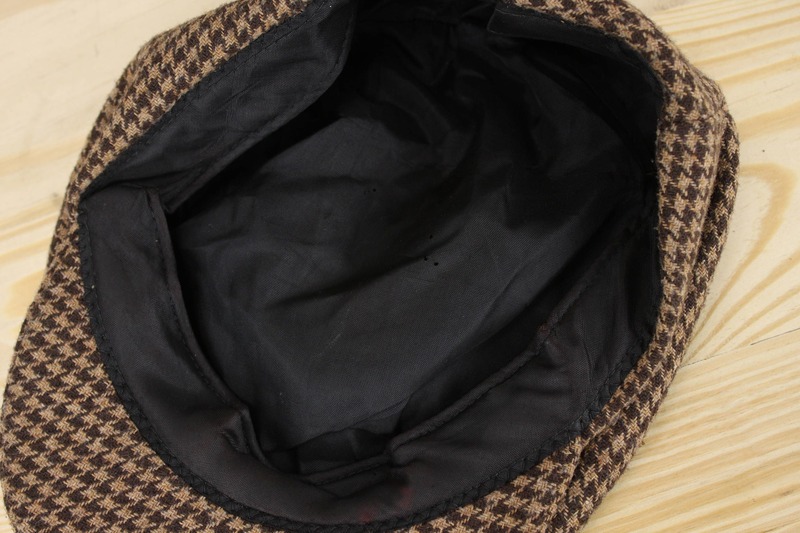 - 10" x 8" x 3.25"